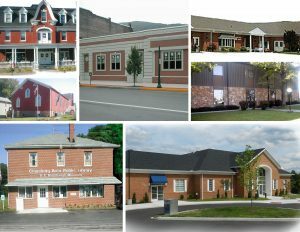 Home News Blair County Libraries Now Live! We are pleased to announce that all of the libraries in Blair County are now live on SPARK! This includes the Altoona Area Public Library, Bellwood-Antis Public Library, Claysburg Public Library, Hollidaysburg Public Library, Martinsburg Community Library, Roaring Springs Public Library, Tyrone-Snyder Public Library, and Williamsburg Public Library. They went live in sequence over the course of the summer. Thank you for all of your hard work and welcome!